Janet Todd was born in Wales to a civilian employee of the military and grew up in Bermuda, Ceylon, and other postings. She attended a Welsh boarding school, Cambridge University, and the University of Florida, where she earned a doctorate in English literature. She has taught at universities in Ghana, Puerto Rico, North America, India, England, and Scotland. 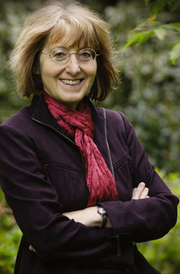 From 2008 to 2015 she was president of Lucy Cavendish College, Cambridge. She is an Emerita Professor of English Literature at the University of Aberdeen and a full-time novelist and researcher living in Cambridge. She specializes in literature and culture of the Restoration and 18th and early 19th centuries, particularly that of women authors. During her career, she has published more than 35 critical and biographical books and collections of essays. She has edited editions of the works of Mary Wollstonecraft (with Marilyn Butler) and Aphra Behn, as well as individual works of Charlotte Smith, Helen Maria Williams, Mary Shelley, Mary Carleton, and Eliza Fenwick. She is the general editor of the nine-volume The Cambridge Edition of the Works of Jane Austen, editor of the volume Jane Austen in Context, and author of the Cambridge Introduction to Jane Austen. In the USA, she started the first journal devoted to women writers. In 2013, she was appointed OBE. Janet Todd is currently considered a "single author." If one or more works are by a distinct, homonymous authors, go ahead and split the author. Janet Todd is composed of 4 names. You can examine and separate out names.